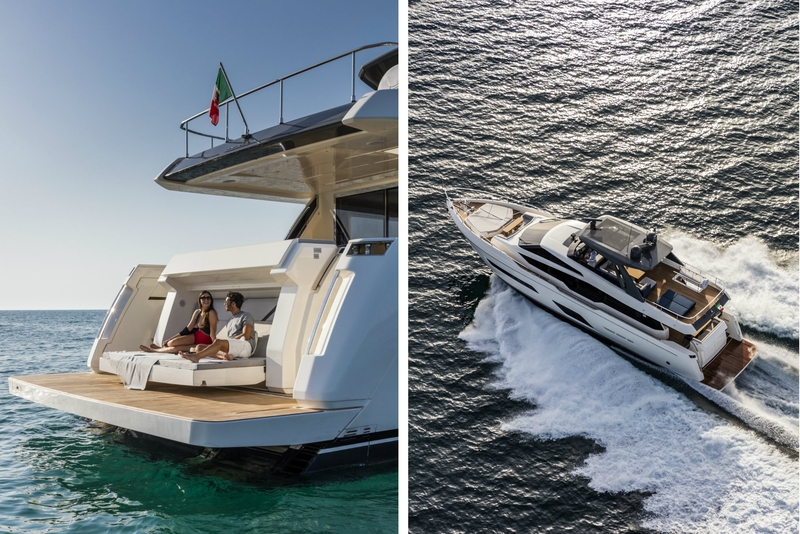 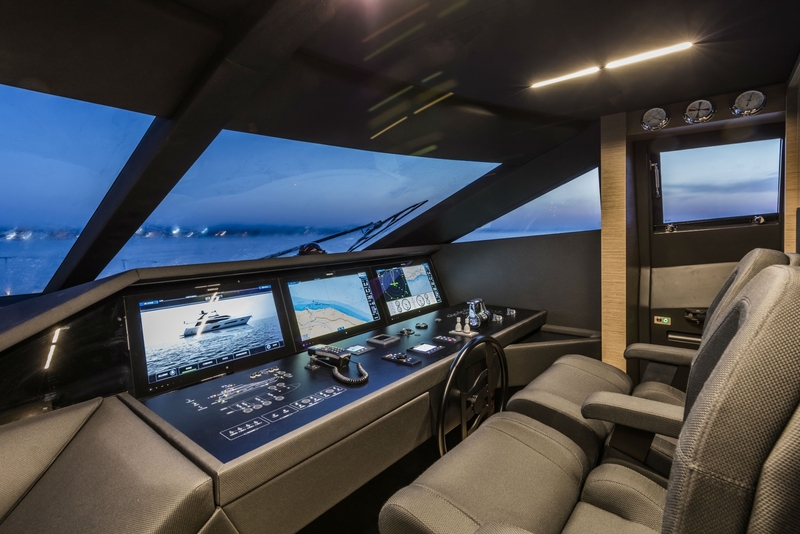 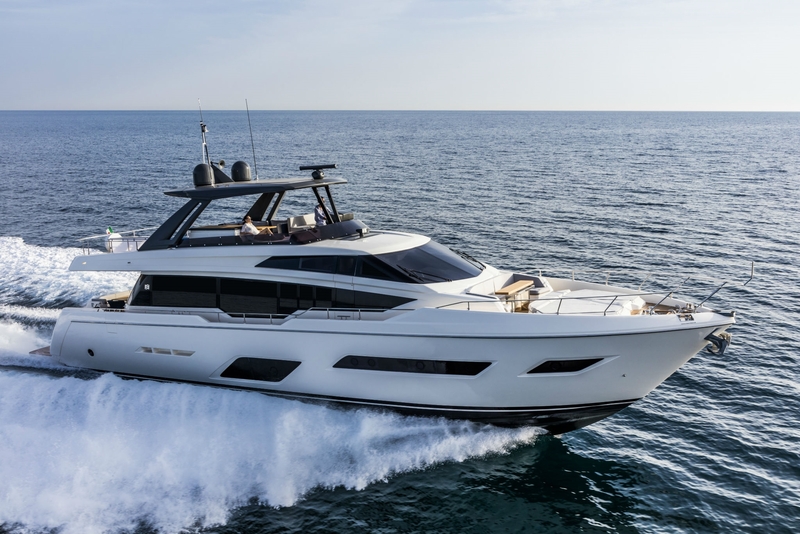 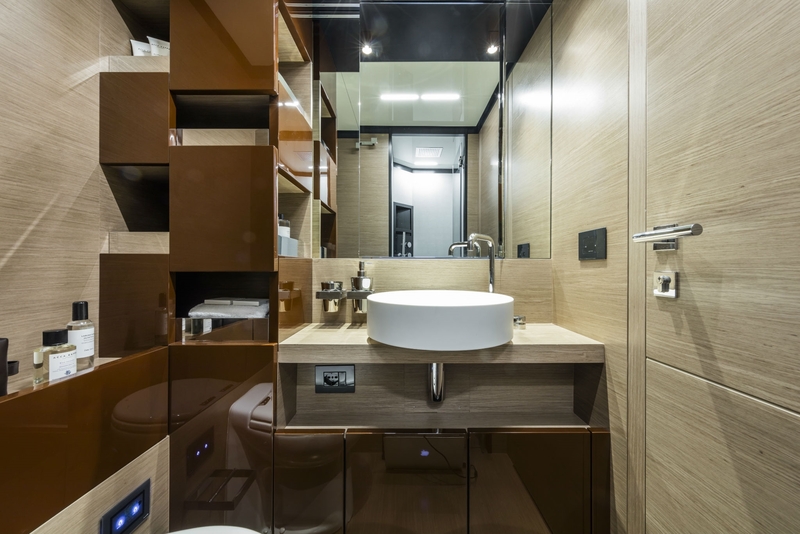 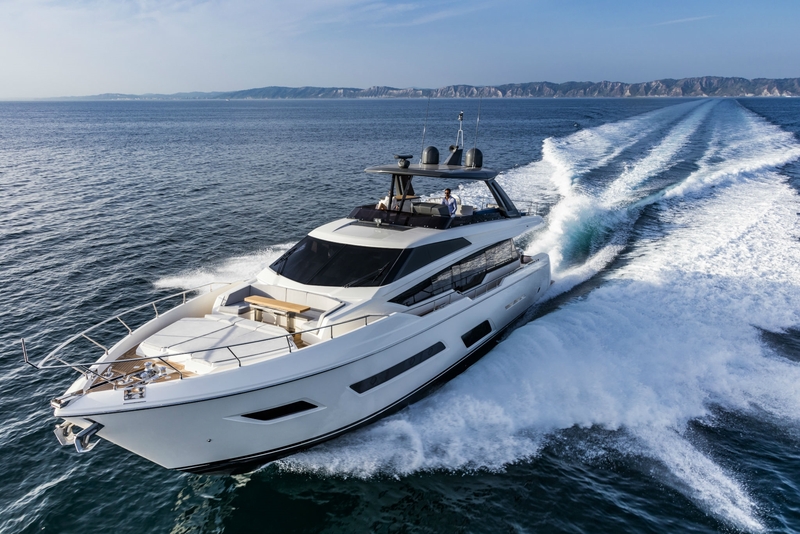 A Ferretti 780 offers comfort, safety, great navigation and elegance in one product. 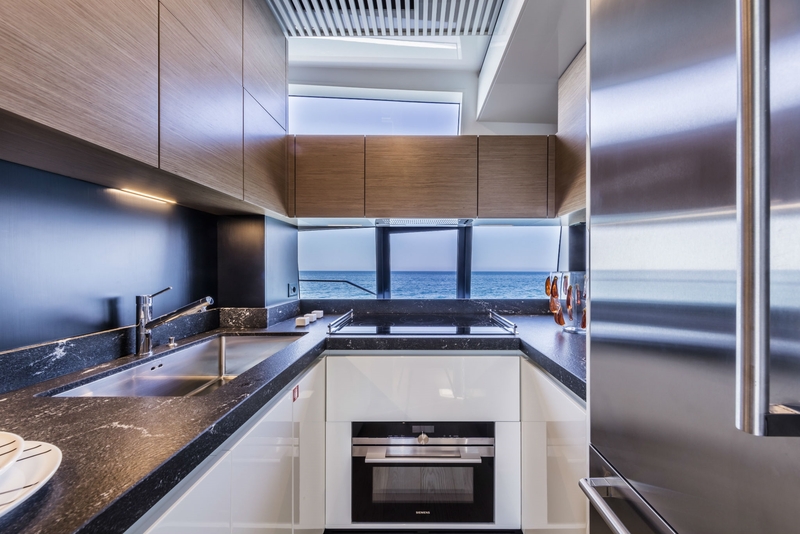 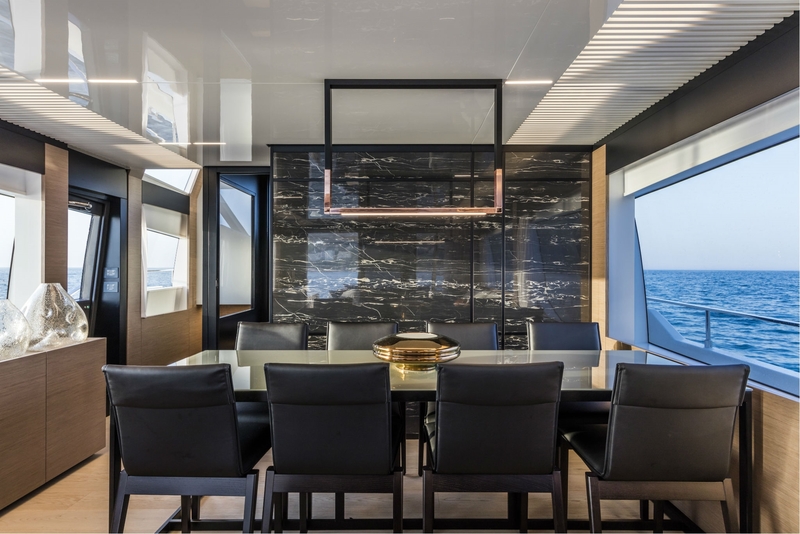 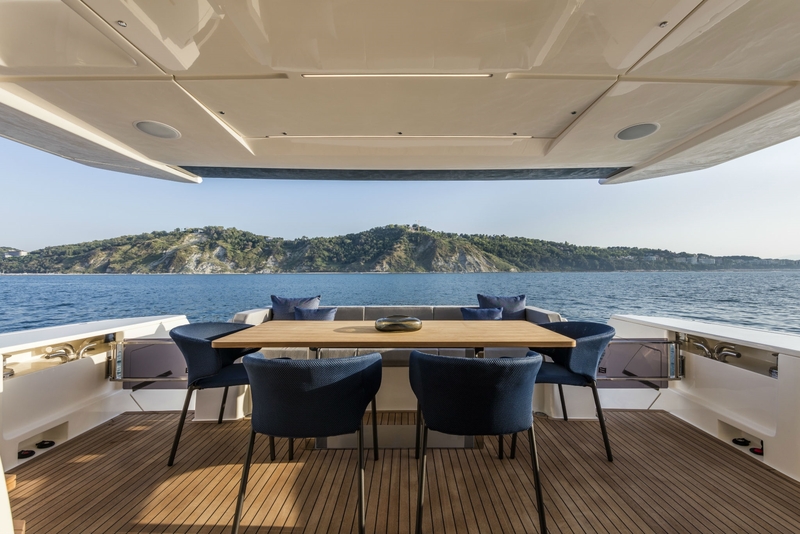 On deck, she has an open-plan saloon and a dining area for formal meals, while her aft deck offers a great alfresco dining possibility as well as seating and sunbathing area. 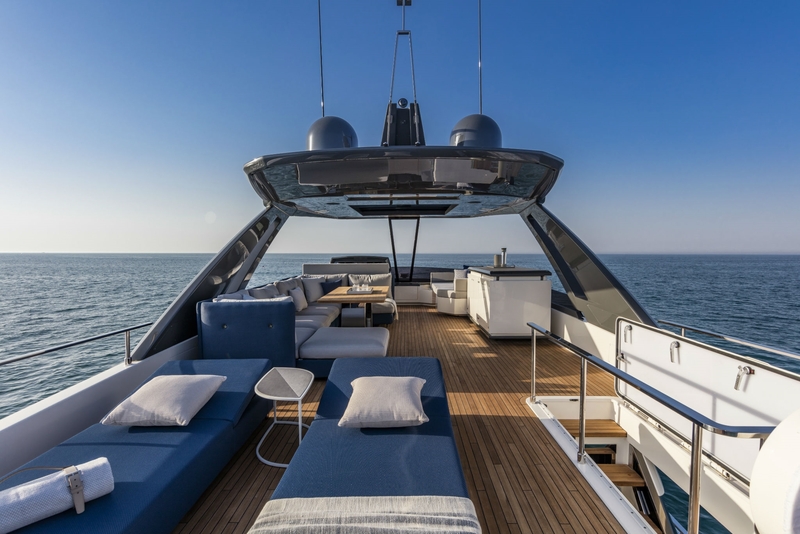 Forward in the bow section, there is a large sun pad and a seating area with a small table. 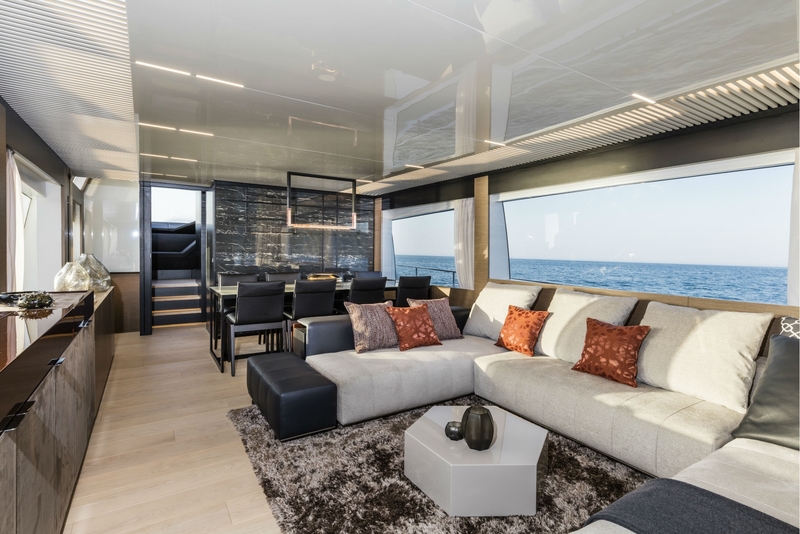 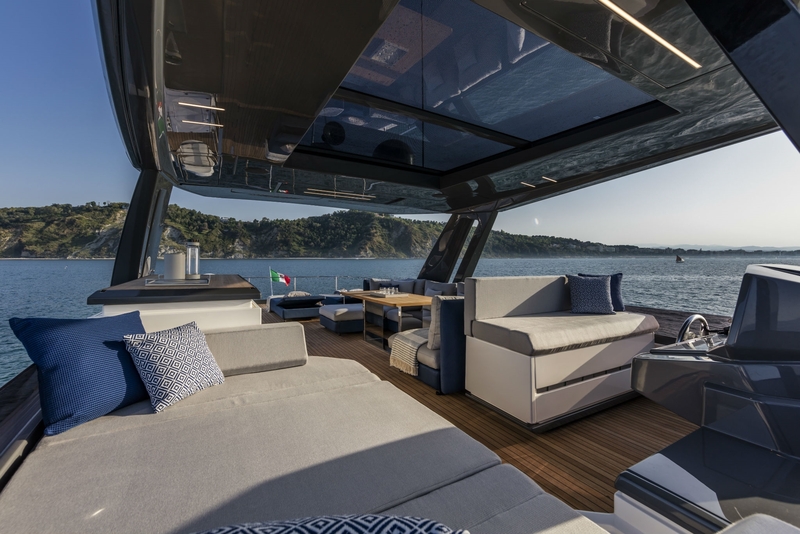 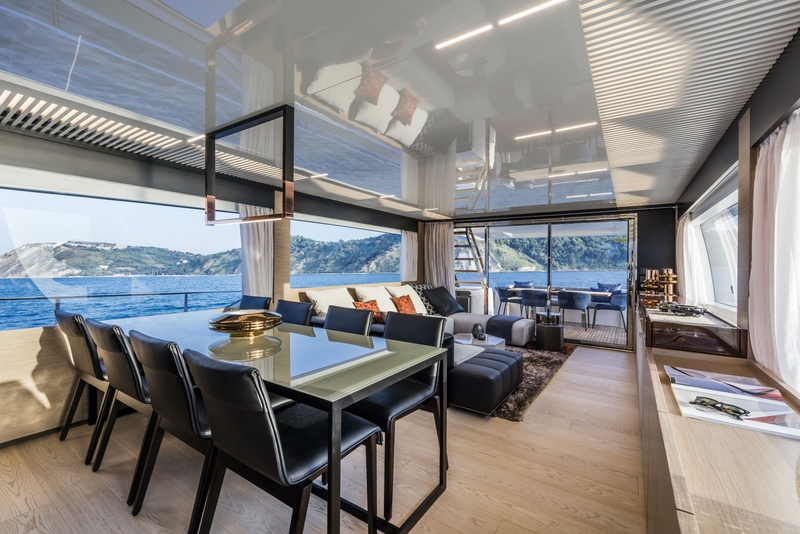 The flybridge is home to yet another lounging area with a dining possibility, featuring a guide c-shaped sofa around a table. 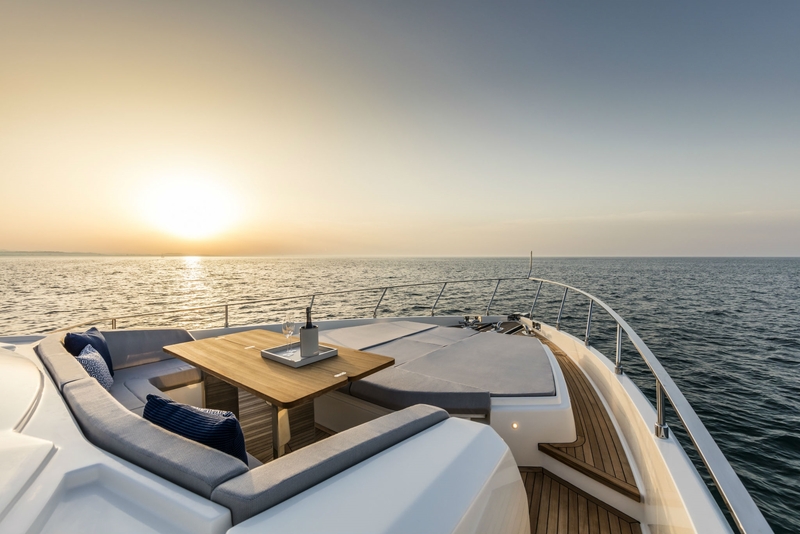 There are two sun pads further aft. 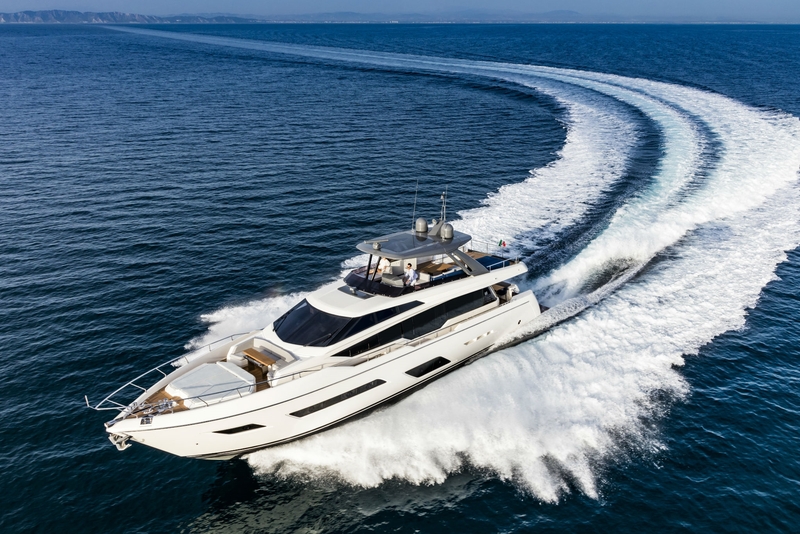 She is powered by two MAN engines reaching a maximum speed of 28 knots while having a cruising speed of 22 knots. 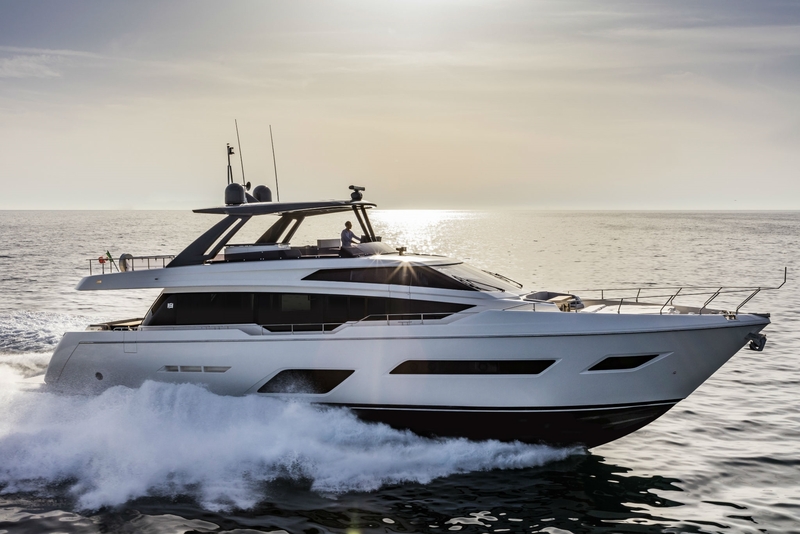 She has a fuel consumption of 350 litres per hour. 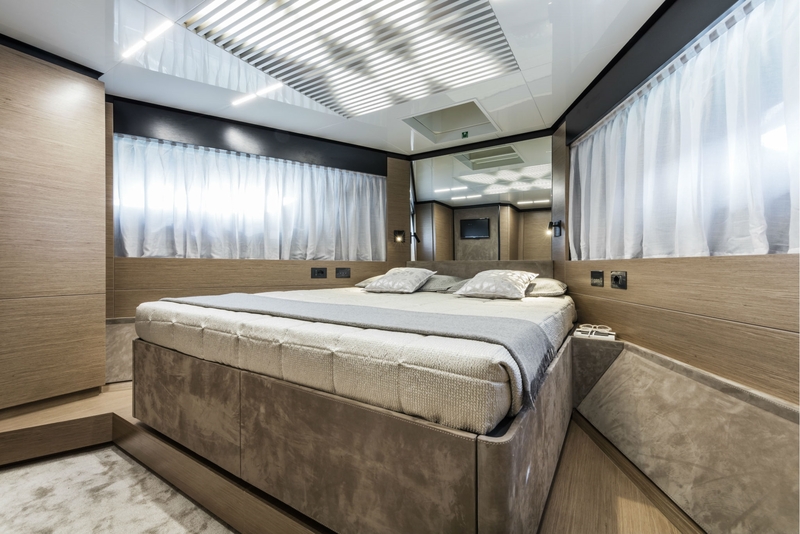 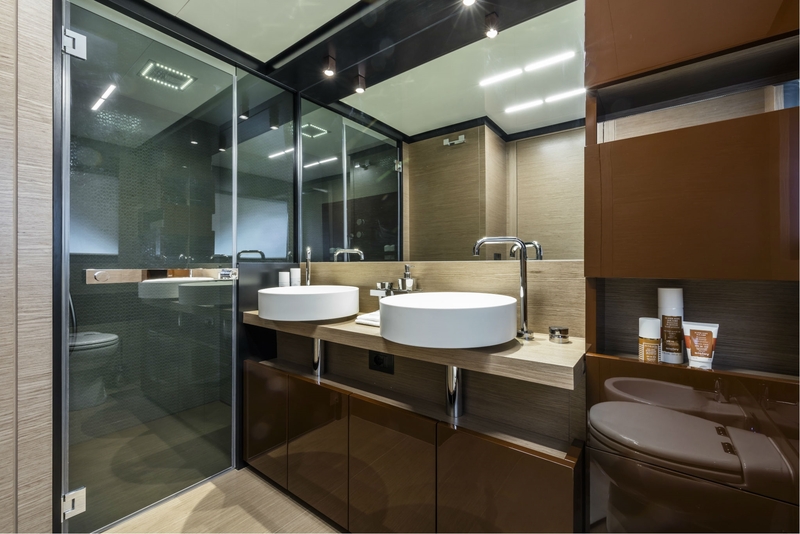 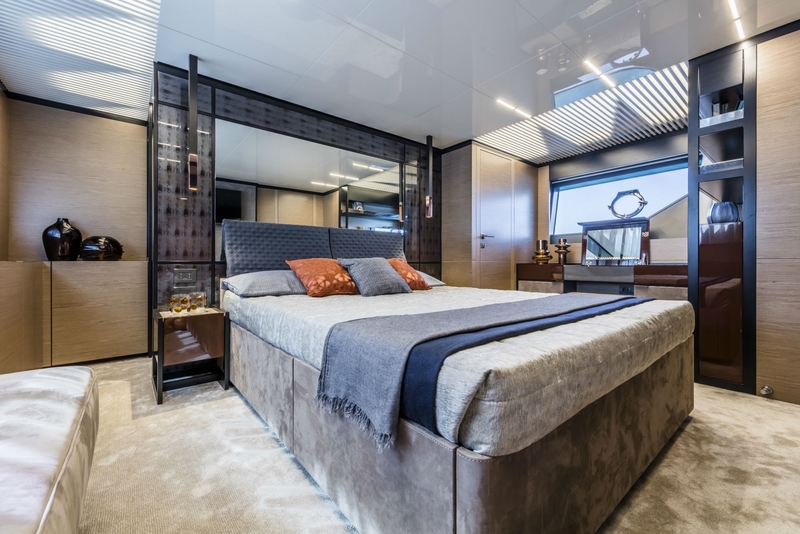 Four spacious cabins offer accommodation for up to eight guests on board, including one beam-wide master suite located amidship on the lower deck with a private ensuite facility and a double bed. 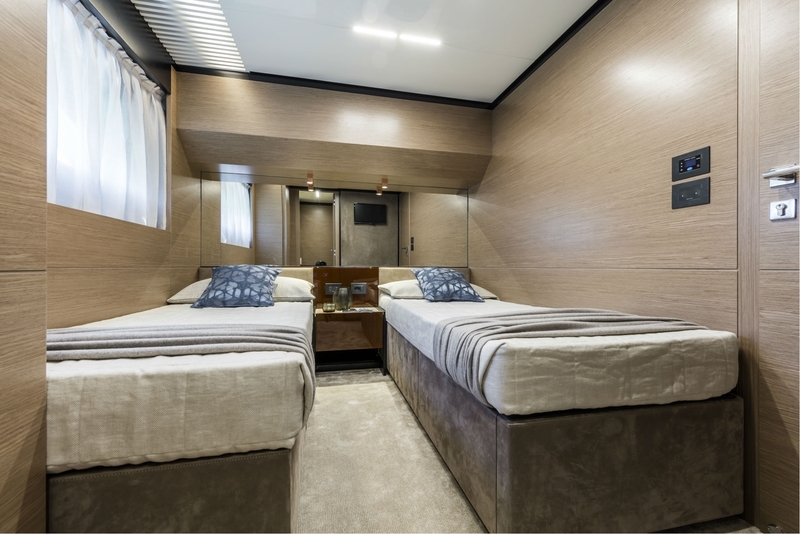 Foward there is a lovely VIP cabin with a double bed and there are two additional cabins, both twins with two single beds. 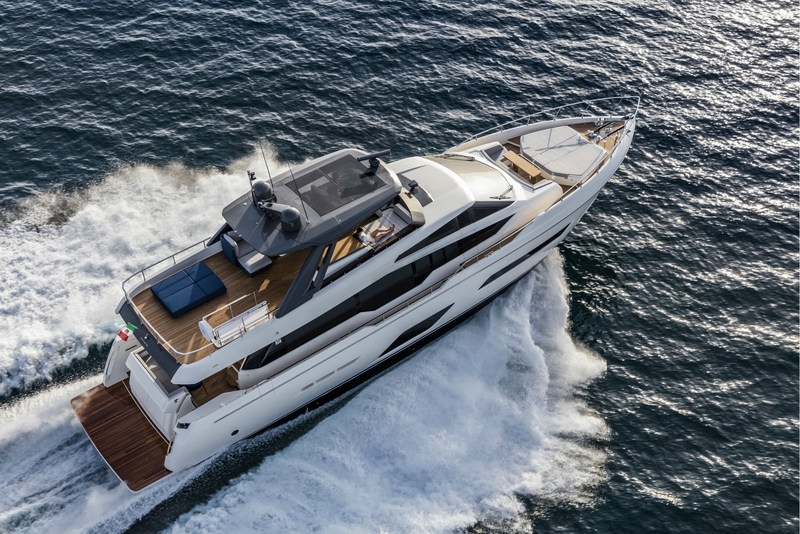 We do have available further amenity, owner and price information for the 24.01m (78' 9") yacht EPIC, so please enquire for more information.